i'm loving this lovely shade of peach and how perfect it is for a spring day like yesterday! it was truly one of the first days that felt spring-like! we took full advantage and since hubs had the day off we took liv and toby for a walk, did a little "spring cleaning" and let olivia play outside on the grass for the first time! boy do we love warm weather and it got me really excited for what's to come! now let's watch it snow tomorrow. pfft. wow! this is very cute! I love the peach and white! So festive for Spring! 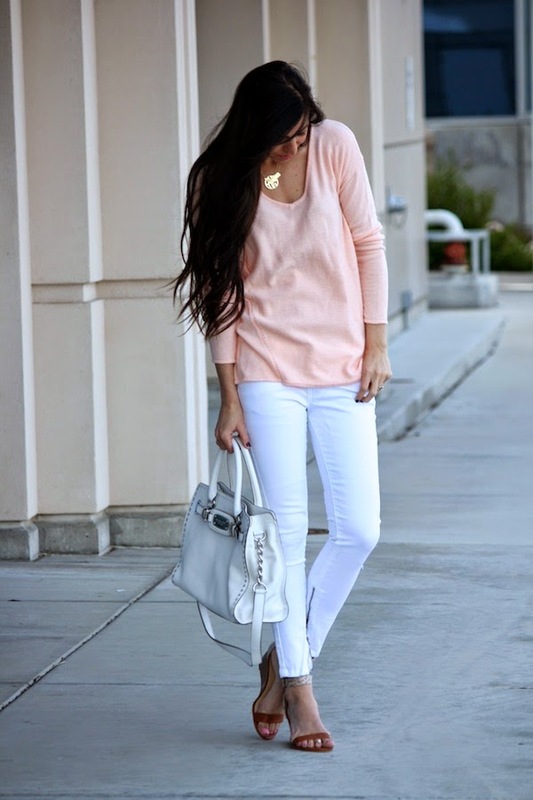 I am loving how casual and perfect this outfit is! Love the peach and white. Such a cute and casual, yet sophisticated look. Great styling.